The Dubai Municipality has launched a new system for smart control and tracking of five-gallon drinking water bottles. A smart sticker will be placed on the lid of each bottle each time it is packaged in the production line. Starting from tomorrow (April 1), all five-gallon drinking water bottling companies and factories that produce or sell in Dubai will have to implement the smart control system to track and control these bottles, reported the state news agency Wam, citing a senior official. Dawood Al Hajiri, the director-general of Dubai Municipality, said the App will be in the experimental phase from April 1 and the experience will be evaluated in coordination with the water bottling companies and the project executing company. The assessment will be done under the supervision of Dubai Municipality and the Municipality will deal with the challenges arising from the application transparently, taking into account the interests of consumers and companies and ensuring fair application, stated Al Hajiri. "This system includes multiple features such as a unique laser code printing on each package as a 'unique mark' that cannot be deleted or changed. 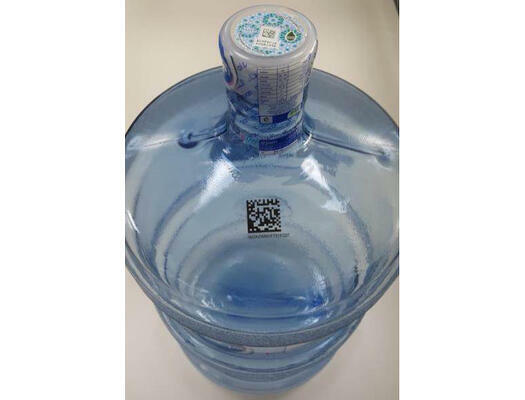 A smart sticker will be placed on the lid of each bottle each time it is packaged in the production line. This label is equipped with digital technologies and secure features similar to those used to protect bank notes from forgery," he added. Khalid Sharif Al Awadhi, the assistant director-general for environment, health and safety control sector, said this system will enable the collection of basic data of the product during its production process. "These include, but are not limited to, the date of manufacture of the plastic container and the number of times the bottle has been refilled, as well as specific water quality standards," he added.